Your coloring is always inspiring! Love the second one more for its unique size! Such a cute card! I love the outdoors and these new stamps! Both the cards are adorable. Love the second card for its unique size. Second Neha on that. Such fun cards! 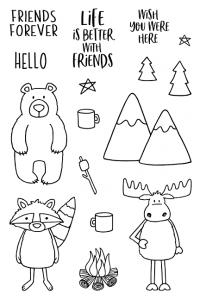 Love the scene you created with that adorable moose! 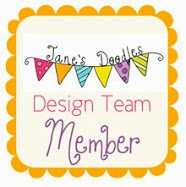 Cool cards, the first one is fantastic with that scene you created – it really pops! These scenes are so cute. Love the way you’ve coloured the elements. How cute cards!!! Awesome colouring and love that cute moose!!! 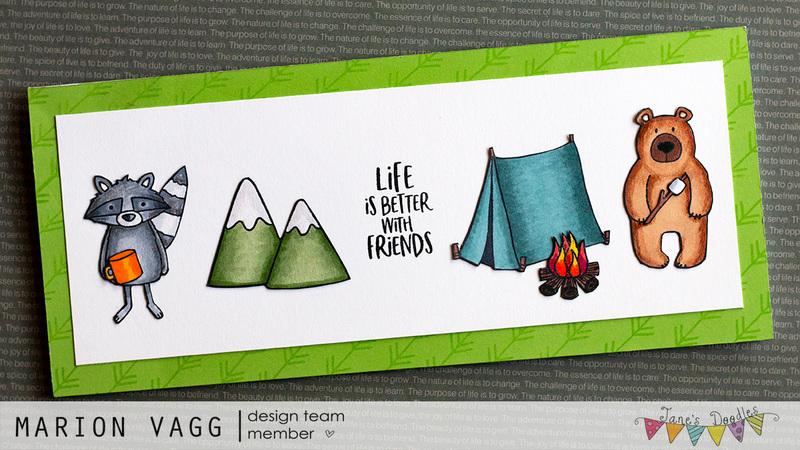 Such lovely and cute camping theme cards! 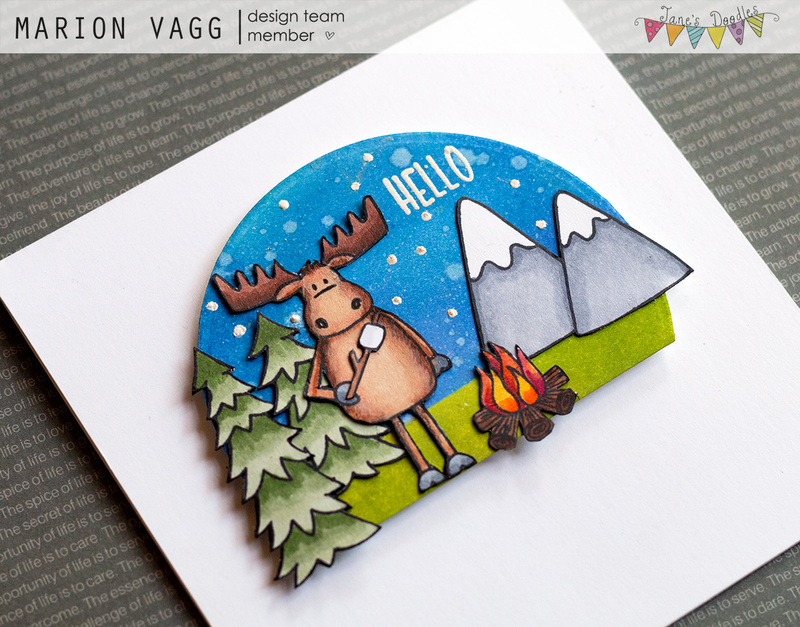 I love the creative use of the circle die to create a focalpoint and the moose by the fire is so cute and cheerful. 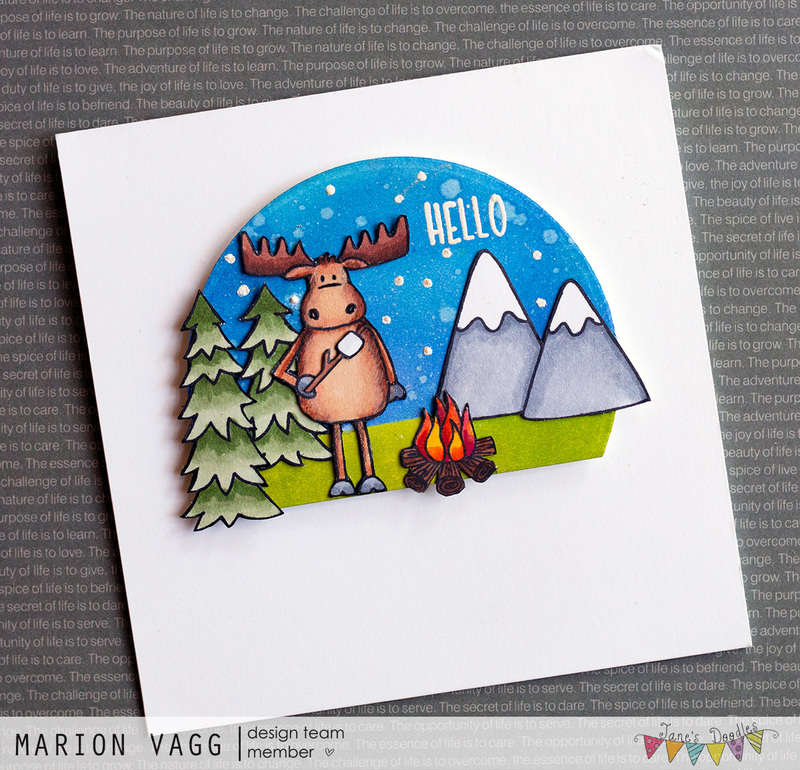 Awesome and detailed cards…love the cute moose too! Such fun cards. 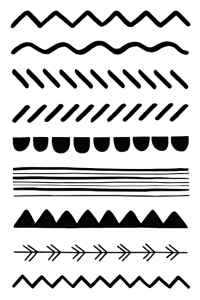 I love this stamp sets. Such a cute cards. Love your coloring. Wonderful cards! I really love the scenes you created, and I love the length of the second card! Awww!!! Adorable cards!!! Love them!!! Your cards are so pretty Marion. Thanks for sharing. 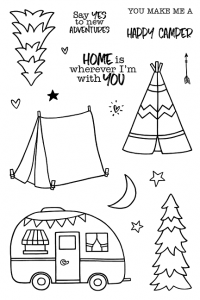 Cute camping scenes with these critters and great coloring. Wow! Super adorable!! Love your coloring! Wow!! Super adorable!! Love your coloring! Who does not love a cute moose?? Super cute!! !